Dreaming to be a actor or an actress ? Why not try your luck in any real casting calls on line. The on line casting call provides a great opportunity to the professional actors, casting agents and casting professionals. It also offers a list of latest acting jobs, casting auditions and auditions casting calls. The comprehensive on line casting call management system enables to issue casting alerts within seconds, sending details to the sub-set of actors you're interested in. Look for real opportunities on line and most of all it's free to apply and deal with real people in film industry or television shows producers. Every television show, stage production or film begins with a casting call and audition. 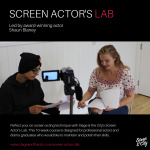 For actors, auditions and casting calls serve as the “interview” process for directors and producers to hire young talent for stage and dance productions, movies and television shows. A casting call is an audition forum in which directors evaluate the acting, singing and dancing talents of prospective performers in order to decide who would be the best fit for each role that needs to be filled. Normally auditions and casting calls take place on a stage or in a dance studio. Mostly casting director or assistant, the production's director, producers, music directors and choreographers are present during casting call auditions. Typically casting call notices are placed in newspapers, advertised on radio or posted on college/community theater bulletin boards. Bigger productions like touring shows utilize the Internet. At a general casting call, actors are asked to read scenes without benefit of any rehearsal. The scenes can be from the show currently being cast or any script of the director's choice. Sometimes applicants are required to present a three minute or ten minute series of memorized monologue to reflect their versatility. If you wish to know of the casting auditions casting calls around UK, just log onto www.castingnow.co.uk. It is most popular casting calls/auditions website in the world. Its unique features makes it the most comprehensive website when it comes to auditions for extras jobs, acting jobs, and modeling jobs. It is the best place to find auditions and casting calls in one single place. Various casting agencies can provide you with information regarding casting auditions and how to prepare for a casting auditions. The website is viewed regularly by many renowned casting agents and film producers/directors.